The Realistic/Miracord 40C is designed for thrifty perfectionists! It has a calibrated stylus force dial and a high trackability magnetic cartridge for accurate tracking as low as 1/2 gram. 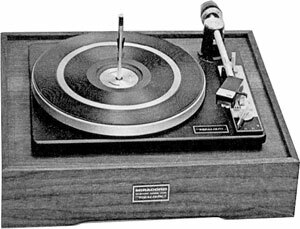 Also has a balanced tonearm, synchronous motor, adjustable anti-skate and damped cue/pause control so you can interrupt a record and resume playing it on the same groove! There are currently no downloads available for this model. If you have any documentation for the Miracord 40C please consider donating a copy to our free archive. Realistic Miracord 40C / Miracord 40 C owners manual, service manuals and schematics are for reference only and the Vinyl Engine bears no responsibility for errors or other inaccuracies. The PDF files are provided under strict licence. Reproduction without prior permission or for financial gain is strictly prohibited. This website is not affiliated with or sponsored by Realistic.